Picture this mental image: Former prime minister Pierre Trudeau stands with his back to the thundering waters of Niagara Falls, clutching a red maple leaf in his hand. On Canada Day. Can you imagine a more Canadian scene? Only if the robotic space Canadarm somehow snuck into the frame, according to a recent poll. The Ipsos-Reid survey, on behalf of the Dominion Institute and the federal Department of Citizenship and Immigration, asked Canadians what best defines their country. After tallying the results, Trudeau was revealed as the person who most defines Canada. Niagara Falls was the defining place, Canada Day the defining event, Canadarm the defining accomplishment and the maple leaf was the defining symbol. The results showed a spirit of national unity across the country's many regions. Canada Day and the maple leaf, for example, topped the lists in every region in their respective categories. But a few quirky responses turned the spotlight on Canada's regional character. Western Canadians, to take just one example, stayed true to the Rocky Mountains in choosing the most definitive Canadian place. Respondents were asked five open-ended questions: What is Canada's defining person, event, place, symbol and accomplishment? All of the results were gathered and presented in a random order back to the person surveyed. From that new list, they were asked to pick the Top 10 items and rank these from most to least important. The most important item was assigned a point total of 10, the second most was a nine and points declined to one for the least important item. The results were then divided back into the five main categories: people, places, events, accomplishments and symbols. Canadians either loved or hated Trudeau, but the Liberal prime minister made a distinct impression on them. He was chosen as the most defining Canadian person by a wide margin, well ahead of hockey superstar Wayne Gretzky in second and Marathon of Hope runner Terry Fox in third. Chanteuse Céline Dion finished fourth nationally, but was the No. 1 choice of Quebecers. Gretzky topped the list in Alberta, the province where he won four Stanley Cups as a member of the Edmonton Oilers. Trudeau was second in both regions and first everywhere else. Sir John A. Macdonald, Canada's first prime minister, came in at No. 5 on the list, but wasn't the only politician to make the list. The "father of medicare," Tommy Douglas (seventh), Prime Minister Stephen Harper (eighth) and former Liberal prime minister Lester B. Pearson (ninth) all appeared on the list. Environmentalist David Suzuki (seventh) and Montreal Canadiens superstar Maurice (Rocket) Richard (10th) round out the list. The regions of Canada had many of their own ideas of a defining Canadian. Author Pierre Berton made the list in Ontario, while Quebecers included political leaders Rene Levesque and Jean Chrétien, Cirque du Soleil founder Guy Laliberté, and astronaut Julie Payette. Singer Anne Murray struck a chord with Atlantic Canadians, while activist Rick Hansen and artist Emily Carr were on the list in B.C. Albertans remembered their funny bone and put Jim Carrey in the Top 10, while Saskatchewan and Manitoba respondents included Queen Elizabeth II. When it comes picking a defining place, Canadians stick fairly close to home, according to the survey results. Western Canadians saw the Rocky Mountains as the most defining place. In Quebec and Atlantic Canada, Parliament Hill topped the list. But Ontarians had a soft spot for Niagara Falls, helping to propel it to the top of the national survey. The Rockies, Parliament Hill and the city of Ottawa were all close behind. Its reputation perhaps stung by losing its crown as the world's largest free-standing structure, Toronto's CN Tower rounded out the Top 5. Cities and provinces dominated the bottom half of the Top 10: Quebec City (sixth), Toronto (seventh), Montreal (eighth), the province of Quebec (ninth) and Vancouver (10th). Banff National Park got special attention from respondents across Western Canada. B.C. residents held a soft spot for Victoria on their definitive list, while Saskatchewan and Manitoba residents mentioned historic Fort Garry. The St. Lawrence Seaway was on the top 10 list for Quebec and Ontario and, perhaps surprisingly, in B.C. Charlottetown, The Fortress of Louisbourg, Halifax and Acadia were all picks of Atlantic Canadians. Across the country, Canada Day is seen as the defining Canadian event by a large margin, according to the poll results. The July 1 national holiday left the actual creation of the country it celebrates — Confederation — in the dust. Key historical dates made Canada's top 10 list, including the First and Second World Wars (third), the battle of Vimy Ridge (fifth) and the Battle of the Plains of Abraham (sixth). Proving that Canadians remember a good party, the Calgary Stampede (fourth), Expo 67 (ninth) and Quebec Winter Carnival (10th) also made the list. So did sporting events the Grey Cup (seventh) and Olympics (eighth). The 2010 Olympics earned a specific mention in British Columbia, and the Louis Riel Rebellion and Remembrance Day were high in importance for Alberta and Saskatchewan residents. Ontarians see the War of 1812 in the Top 10, while Atlantic Canadians gave a shout out to the Juno Awards. Quebecers saw a number of events in their home province as definitive to Canadian identity, including the Montreal Jazz Festival, the Grand Prix auto race and St. Jean Baptiste Day. Perhaps surprisingly, the 1972 Summit Series between Canadian and Soviet hockey teams appeared only on lists in Atlantic Canada and Alberta. 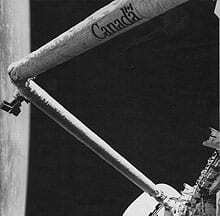 Space may be the final frontier, but the Canadarm, which made its debut on the space shuttle in 1981, was first in the country's list of defining accomplishments. The depth of Canadian achievement, however, provided the robotic engineering triumph with a wealth of competition. Peacekeeping followed close behind as the second choice, topping the lists for both Albertan and Atlantic Canada. Universal health care, ranked third nationally, was the No. 1 choice of those surveyed in British Columbia, Manitoba and Saskatchewan. But the Canadarm ranked tops in both Ontario and Quebec. 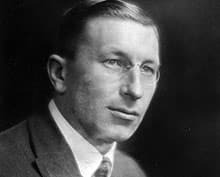 The spirit of scientific discovery and engineering prowess was also recognized in the form of Fredrick Banting's insulin innovation (fourth), Alexander Graham Bell's telephone (fifth), the national railroad (eighth) and the Avro Arrow project (10th). Canadian values such as diversity and multiculturalism (sixth) and freedom (ninth) were also important as well as the Constitution and Charter of Rights (eighth). Albertans found the oil industry to be among the most definitive accomplishments, while environmental conservation struck a chord in B.C. Bilingualism appeared on the list for Atlantic Canada and Saskatchewan/Manitoba, while hydroelectricity scored third among Quebecers. By an overwhelming margin, the maple leaf topped the list of Canada's definitive symbols, leaving the second-highest entry, hockey, in its shadow. The Canadian flag which, perhaps not coincidentially features a maple leaf, was third. The rest of the list of Canadian symbols reads like a who's who of Canadian pop culture imagery: the beaver, Mounties, Stanley Cup, wilderness, the loonie, maple syrup and the moose. Saskatchewan and Manitoba residents would add a bird (the Canada goose) and a grain (wheat) to that list. Quebecers would include a world-famous hotel, the Chateau Frontenac, while Atlantic Canadians hold a special place for the Bluenose schooner. The poll sampled 3,114 adult Canadians between March 31 and April 22, 2008. Nationally, it is considered accurate to within 1.8 percentage points, 19 times out of 20.